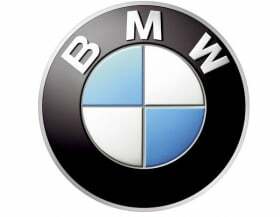 BMW AG sales in August increased 9.7 percent to a record 121,615 vehicles because of strong demand in China, where sales were up by more than a third from the same period last year. "Models such as the BMW 1 and BMW 3 series, the BMW X1 and X3, as well as the BMW 6 series reported strong gains and made a positive contribution to our record sales performance last month," BMW sales and marketing chief Ian Robertson said in a statement. Through eight months, vehicle sales at the BMW, Mini and Rolls-Royce brands increased 7.9 percent to 1.16 million, the company said on Friday. "We expect further gains in the coming months and we are absolutely on track to achieve a new sales record in 2012," Robertson said. August sales in mainland China were up 37.5 percent at 25,377 vehicles. After eight months, China sales grew 30.5 percent to 207,425 vehicles.